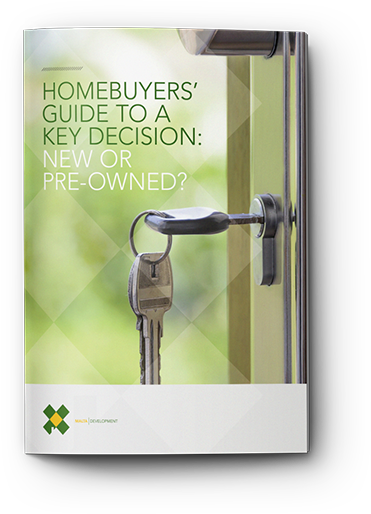 So You Think You're Ready to be a Homeowner? For many, the road toward the American Dream includes buying a home of one's own. This isn't an easy road, however. Home purchases too often bring on unexpected worries not to mention your worst doubts and fears. Don't fret. Simple precautions prevent these fears from becoming reality; just make sure you've covered all the bases. Check out neighborhoods during different times of the day to get a feel for your potential neighbors. Also, moving a few miles further from your desired location may end up saving you money as tax rates change within each community. When checking out a house, consider your long-term plans. Will you be relocating in the near future? Do you plan on having kids? These sorts of questions will help you determine how much space you need. It's better to have a clear idea of how you'll use your home so that you don't have to look for another in a couple of years when you realize that you've outgrown your initial purchase. When you were living in an apartment, you could always ask the landlord to help you fix leaky faucets, clogged toilets, and more. It's like you had a handyman on demand. Once you own a home, you'll be solely responsible for routine maintenance to keep your home in tip-top shape. After you've chosen the house to make your own, it's time to move onward to the purchasing phase. Homes require a significant amount of financial preparation. From the initial down payment to bank loans to mortgage payments... make sure you ready yourself for one of the largest investments in your lifetime. Check your credit score before even thinking of applying for a home loan. Cross-reference credit reports from all three credit bureaus. Check for inconsistencies, like unpaid or collection accounts. Aim for a credit score of 720 or above with 750-850 as your goal. Credit scores determine interests rates, and a high interest rate obviously presents a greater financial burden. Preparing a budget beforehand gives you a realistic expectation for how much you're able to spend on a home including the accompanying fees. Think of fees like property taxes and homeowner association fees. If you rented before buying, prepare to start paying more for utilities. Consider the amenities that your home will have. For example, that new pool won't maintain itself. Think about the advantages and disadvantages of getting a fixed rate vs. an adjustable rate mortgage. An adjustable rate mortgage might seem tempting with a lower initial interest rate but after a few years the interest rates change. The changing nature of these mortgages gets new homeowners into trouble. There are many different loan programs available with varying requirements for a down payment, some with very low down payments. If you do not have at least 20% of your purchased home value available in your bank, however, you'll likely end up needing private mortgage insurance (PMI). It's a fail-safe if you ever end up defaulting on your loan. Although it may be only 1 to 2% of the value of your loan, that money adds up over time. The less time it takes you to pay for your home, the less interest you'll end up paying. If you choose a longer home loan, the grunt of your home loans are lowered, but are owed over a longer period. Be sure to hold on to paycheck stubs, income tax returns, and bank statements from the past two years when applying to ease the loan process.